1. 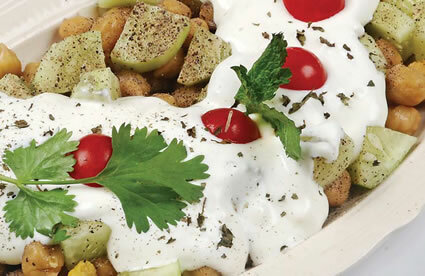 Arrange the cheese strips, cucumber pieces and boiled channa in a serving dish. 2. Sprinkle salt and chaat masala. 3. In a separate bowl, mix paneer, cream and cheese cream. 4. Pour this over the channa and cucumber. 5. Garnish with tomatoes, mint and coriander leaves. Feel free to comment or share your thoughts on this Cheese Salad Recipe from Awesome Cuisine.